The University of Oregon broke ground on a $1-billion, state-of-the-art science center earlier this month. 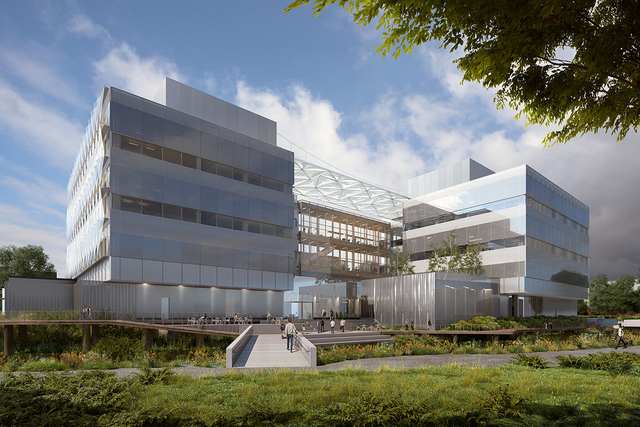 The Phil and Penny Knight Campus for Accelerating Scientific Impact will initially concentrate on hiring faculty in the life sciences and computational and data science, according to the university’s website. It will be funded in part by a $500-million commitment by the Nike cofounder, an alumnus of the university, and his wife. The Knights’ gift is the largest private donation ever given to a public university. Albeit a whopper, the donation leaves the university responsible for $500 million. With the state’s Legislative Assembly having approved $70 million as of March 3, it’s unclear how the university will make up the $430-million shortfall. The center will focus on areas that the University of Oregon “has historically been really good at,” says Patrick Phillips, the Knight Campus’s acting executive director. 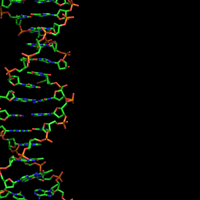 The university was the first in the country to have a molecular biology unit, for instance, which it established nearly 60 years ago to integrate multidisciplinary fields in what was then a new subject, he adds. “That created an ethos of collaboration and cooperation across departments” that will be brought to this research center, he says. 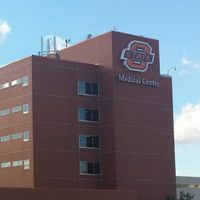 The campus will construct three, 70,000-square-foot buildings with research facilities, imaging and prototyping equipment, and an “innovation hub,” according to its website. The Knights’ gift leaves the university on the hook to come up with $500 million in funding, some of which it has turned to the state to provide. In 2017, the Oregon Legislative Assembly approved $50 million for the campus, and in 2018 it earmarked an additional $20 million. The university initially sought $100 million from the state. Phillips says the $30 million shortfall presents “an opportunity” to seek additional philanthropy, scale back the university’s initial efforts, or return to the legislature with an open palm in the next biennium. State Representative Nancy Nathanson (D-13) tells The Scientist via email that the 2017 appropriation was considered the first phase of state funding. “With this year’s investment, we funded a portion of phase two earlier than expected,” she writes. “Obviously, no legislature can bind a decision for a future legislature, and economic circumstances can change.” The state also has a growing backlog of preservation, maintenance, and repair funding requests from all of the state’s public higher education institutions to consider, she adds. The Assembly approved the funding with the expectation that “there will be both direct and indirect benefits to the local and regional economy,” says Nathanson. The university projects that the campus will have an $80 million benefit to the state’s economy annually. The initial economic driver will be the construction of the campus itself, while the long-term effect will come from new hires and grant activity, says Phillips. The university’s website says more than 1,000 positions will be generated by the campus. Additional indirect economic impacts could come from the creation of companies based on research done at the campus, although these are not included in the annual projection, Phillips adds. Universities often build science centers with the hope that they will not only foster research but also have a regional economic impact, but the real-world outcomes are more variable, says Margaret O’Mara, a historian who focuses on high-tech economies at the University of Washington. “I think it becomes more of a challenge when universities and their allies are trying to build facilities that are designed to be the catalyst for economic activity that isn’t already bubbling up in the region,” she says. “Don’t assume that the presence of a university is going to turn a place into a high-tech center,” she cautions. “Obviously, [the Knight Campus] is good for the institution and it will be good for the local economy,” says sociologist Elizabeth Popp Berman of the University at Albany, SUNY. But the University of Oregon lacks an engineering school or medical school, she notes, “so who’s going to drive this innovation that they’re promising?” Without these assets, bringing basic science to applications that improve the local economy is “really hard to build . . . from scratch,” she says. Researchers don’t fully know what developments like the Knight Campus do for the local economy, says Charlie Eaton, a sociologist at University of California, Merced. “There are questions on the capital investment side, including . . . whether you’re actually hiring people from the local economy,” he says. Once it is built, the question becomes: is the campus “creating pathways into work for people from the local economy, or are you bringing in talent from outside of the economy,” he adds. These questions are important for considering the equity of the development’s economic impact, he says. 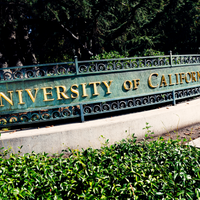 Correction (March 16): The article incorrectly stated that Charlie Eaton is a sociologist at University of California, Berkley. Eaton is a sociologist at Merced. Paragraph ten has been updated to clarify. The Scientist regrets the error.